J. Edgar: Sometimes you need to bend the rules a little in order to keep your country safe. Biographies tend to run hot and cold for me. Sometimes, like in the case of Gus Van Sant’s Milk, from back in 2008 (which screenwriter Dustin Lance Black, the screenwriter for J. Edgar, won an Oscar for), I can really get into the film, admire all the performances, the ways in which the film presents the era, and appreciate how it dramatizes it’s subject matter. I have seen Milk a couple of times, rare for me when it comes to a film of that genre/type, because I thought it made the best of the biography film genre. Other times, like in the case of J. Edgar, I find it to be a struggle to really engage myself with the material and how it is being presented via dramatization. With these biographies that I am less enthusiastic towards, I tend to question if I could have gotten a more insightful experience out of watching a PBS or History Channel documentary going over the same material. Since Leonardo DiCaprio dominates this film so effectively, among other reasons as well, I can’t say that J. Edgar is a waste, it is just a fairly standard biography that I didn’t take much away from. 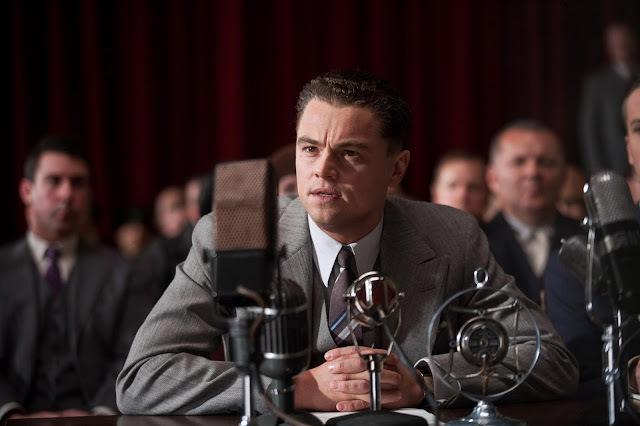 DiCaprio stars in the film as J. Edgar Hoover, the face of American law enforcement for nearly 50 years. J. Edgar was a man who, as my title suggests, was feared, admired, reviled, and revered. He was known for having an incredibly dedicated public persona, where he sought glory and presented himself as tough and proper, while serving as the director and founder of the Federal Bureau of Investigation. The other part of his legacy revolves around what happened behind closed doors, as J. Edgar was known for allegedly hording secrets over many men in high places over his incredibly expansive years in the FBI. And then there are the rumors of his more closeted nature, revolving mainly around his relationship with fellow FBI associate Clyde Tolson (portrayed by Armie Hammer in the film) and his overbearing mother (played by Judi Dench). This film spans J. Edgar’s entire career with the Bureau. 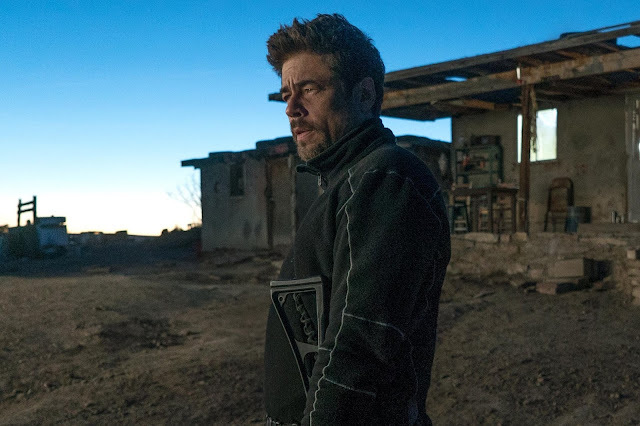 While the film uses a framing device to cut back and forth between his younger years and his final days, there is a lot of focus spent around key moments of his career. 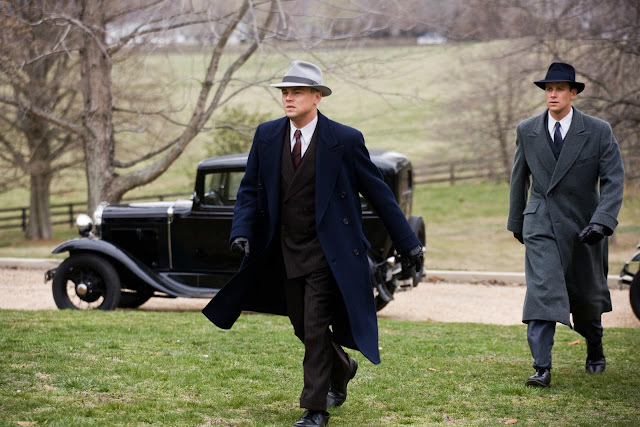 Topics such as the Red Scare “Palmer Raids” early on around 1920, the Charles Lindbergh Jr. kidnapping, his relationship with the Kennedy’s, and the hunt for John Dillinger all come up on occasion. There is also plenty of focus behind the scenes as well in regards to J. Edgar’s mother, his relationship with the woman who would becomes his lifelong personal secretary, Helen Gandy (Naomi Watts), and his relationship with Tolson. 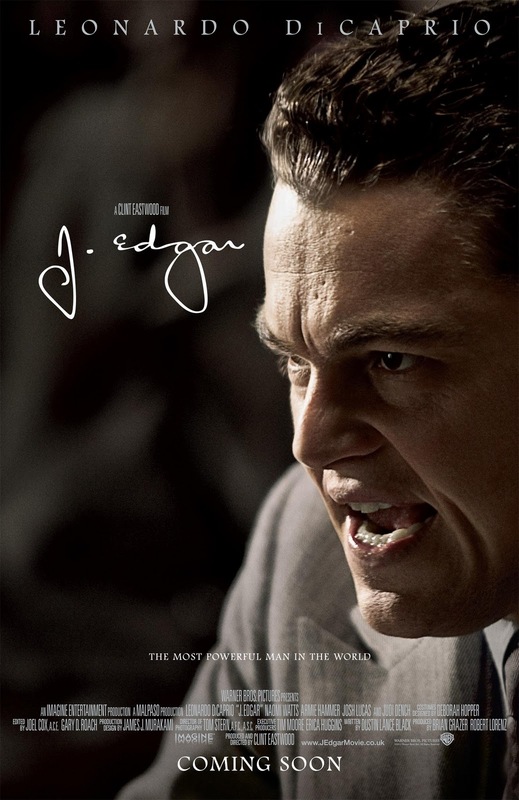 J. Edgar: I don’t know who I can trust anymore. This is a Clint Eastwood produced and directed film and all of the hallmarks of his movies are present here. Most noticeably the cinematography, which manages to call attention to itself, while also providing the distinction of being a film from a specific director through its look, which not many director’s can accomplish so simply. It also features a familiar score by Eastwood, who adds some piano notes here and there to account for the prim and proper tone of the film, even as it handles the more questionable aspects of J. Edgar’s secretive personal life. I make mention of these various Eastwood elements, as I think the film would have even less of an identity if it were not for his familiar style. 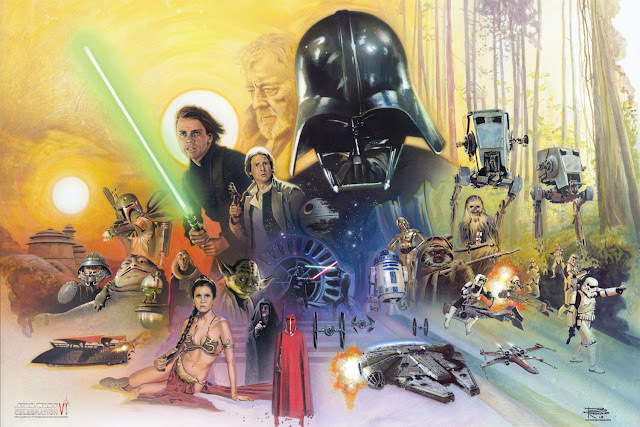 There is a confidence here in how the film has been made and the transitions back and forth between decades are mostly well handled. 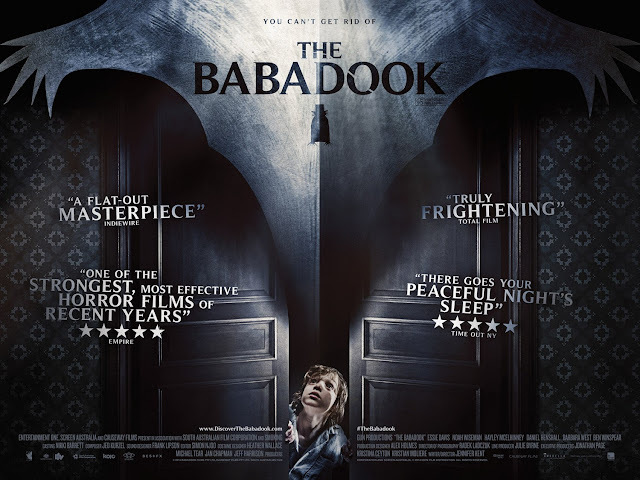 However, I don’t quite think it has leant itself to being entirely engaging over the course of its 137 minute runtime. 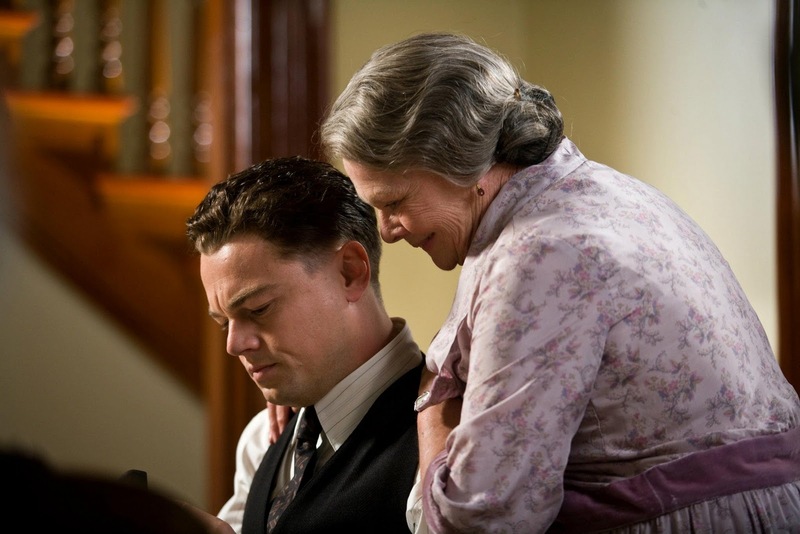 The most notable aspect of this film is how DiCaprio fully embraces his performance as J. Edgar. I am not saying he is absolutely remarkable in this film (it would be very tough to do that, given how distracting at times the old age makeup tended to be), but I will say he tries his hardest to properly represent J. Edgar’s persona throughout his life and in various ways, as we learn more about what made this man tick, what his priorities and agenda’s seemed to be focused on, and how he wanted to conduct himself both publicly and privately. Sure it is incredibly Oscar baity, but that does not mean DiCaprio isn’t the best thing about this film. The supporting cast is good enough as well. 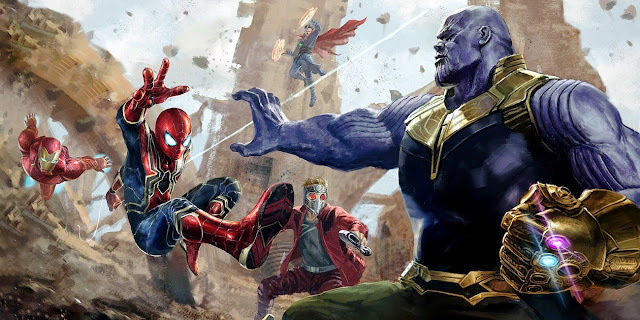 I can’t say that Dench, Watts, and Hammer don’t try hard to match up to DiCaprio’s intensity, but they all more or less fit into the mold of what they are simply required to do here as supporting characters for the lead character to interact with. I would have liked to have been more insightful in regards to approaching discussion of this film; however, I don’t feel like it left me with much to say. 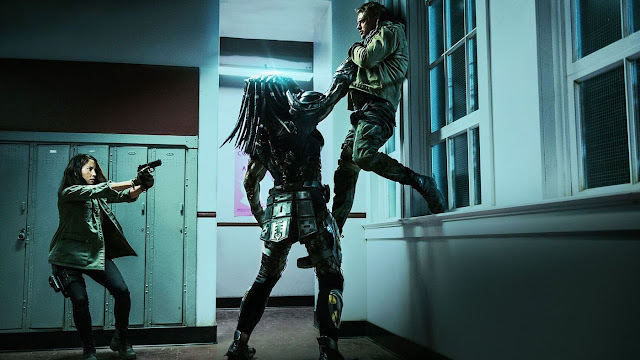 There is almost an obvious sort of positive regard I can have in commending its production values (Eastwood has enough goodwill in the right places to have an accurate looking period film get made), but I am still on the line of thinking archival footage and interviews would have left me with just as much regard for the information provided in this film. As I have said, DiCaprio is a strong lead here and the various directorial touches make the film tolerable enough. The secret nature of J. Edgar’s life might have been more interestingly handled if Black’s script decided to really play around with speculation or if Eastwood wasn’t so willing to play by conventional standards of the biography genre. 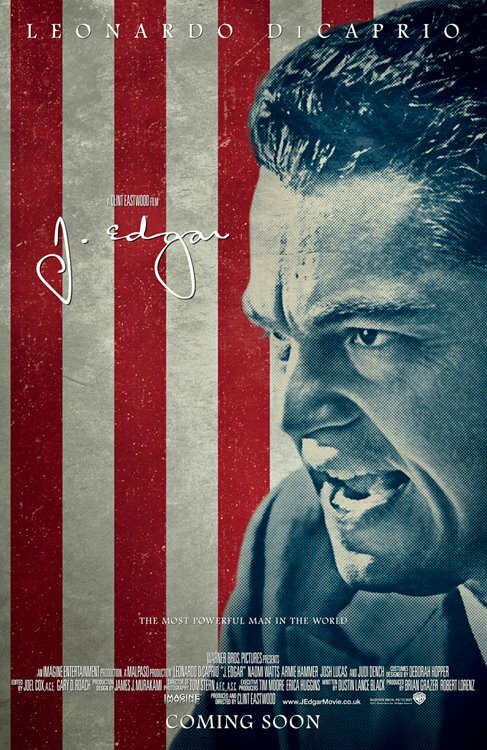 As a whole, I found J. Edgar to be a slightly dull history lesson, with a fine lead performance and some interesting notes to have taken, just not enough to be more compelling. 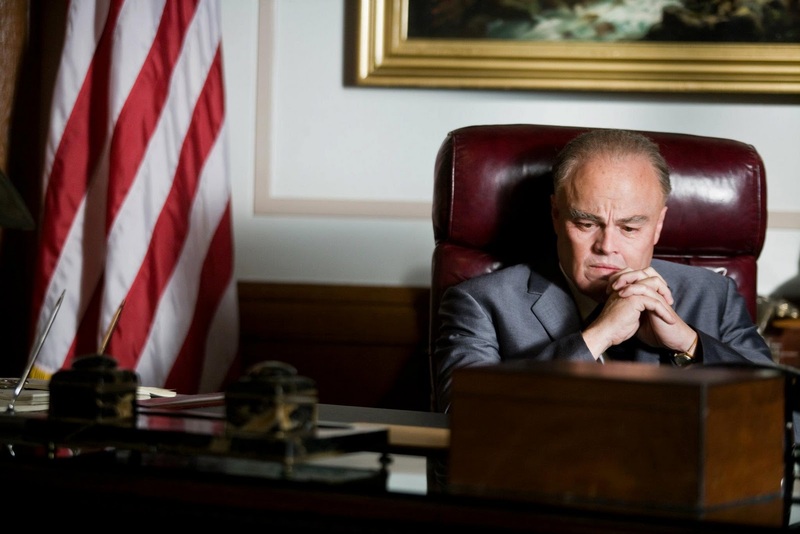 J. Edgar: Even great men can be corrupted.